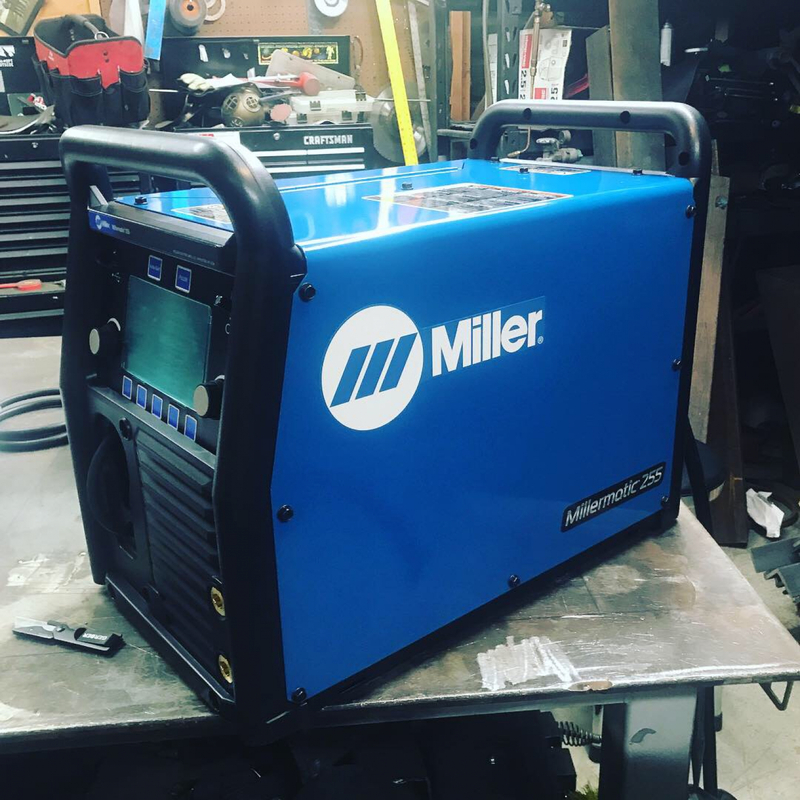 The Miller® Millermatic® 255 MIG welder is a complete 250 amp welding package that comes standard with pulsed MIG welding capability. The inverter design means that the Millermatic 255 is less than half the weight of its popular predecessor, the Millermatic 252. Auto-Set™ Elite technology allows you to use preset welding parameters based on metal thickness, shielding gas and welding wire type to achieve optimum welds. You can also set your voltage and wire feed speed manually, for a custom welding arc. The Millermatic® 255 comes complete with full color seven inch LCD screen with intuitive design and simple controls. In addition to built-in welding programs, the 255 can also store your custom welding programs. It seamlessly switches between welding with standard MIG gun or optional Spoolmatic™ spool gun. The 255 also features direct plug for XR push-pull gun for professional aluminum wire feed capability. This allows you to use 12 inch spools of aluminum MIG wire instead of the more expensive 1 lb rolls used with the spool gun. Easy-to-understand interface with 7-inch color LCD display ensures proper machine setup and parameter selection, reducing setup time and increasing weld time. Quick-access backlit Auto-Set and Pulse buttons above the LCD display illuminate when active. Soft-key buttons below the display change function depending on which screen is displayed. Makes setup or change quick, easy and intuitive. Large text for easier readability. Intuitive connection setup images. Full troubleshooting descriptions versus help errors and look up codes. Auto-Set™ Elite offers predefined weld settings to increase ease of use and ensure that the job is done right for operators of all skill levels. 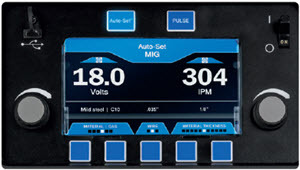 Available for MIG and pulsed MIG processes with the ability to fine-tune your settings. 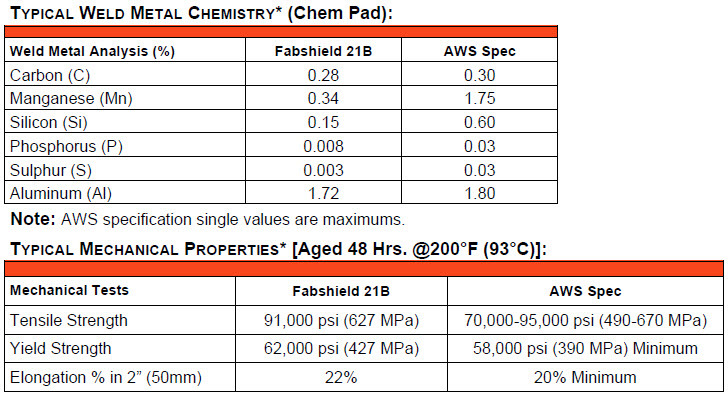 Set weld parameters by selecting wire and gas type, wire diameter and material thickness. Program mode allows easy save and recall of favorite weld settings. Deliver more productivity by eliminating the need to manually set the parameters. Deliver consistent quality by welders of all skill levels by using prequalified weld settings. Minimize supervisor need to intervene. Pulsed MIG welding delivers higher quality welds for ALL welders. Lower heat input for less distortion on thin materials and better puddle control on out-of-position welds. Less spatter minimizes post weld grinding and rework allowing more welding time. 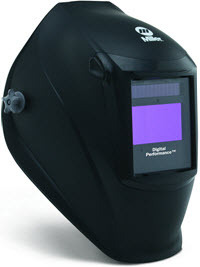 Perform welding applications that couldn�t be done in the past. Ideal for MIG welding aluminum and stainless steel. Compatible with push-pull MIG guns. Increases productivity by allowing the use of 12-inch wire spools versus a spool gun�s 4-inch spools. Reduces downtime changing wire spools. Auto-Line™ allows for any single-phase input voltage hookup (208-240 V) with no manual linking, providing convenience in any job setting. Ideal solution for dirty or unreliable power. Is the pulse setting only for Aluminum or can you use that setting for mild steel as well? I've tried to find the answer and haven't had any luck. Millermatic 255 MIG Welder 907734 can pulse mild steel, stainless steel and aluminum. 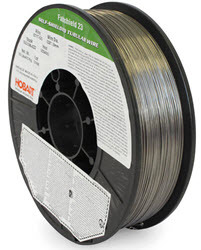 What is the largest size spool of wire that will fit the Miller 255? 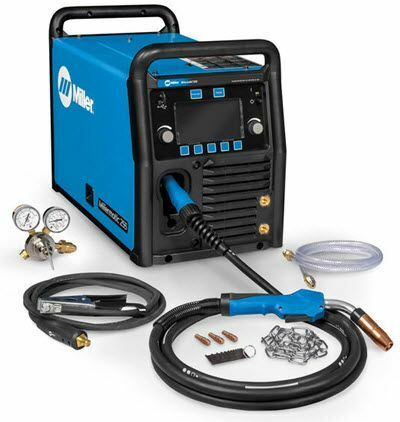 Millermatic 255 MIG Welder 907734 will accept up to a 12 inch spool. Can you hook up a spoolgun at the same time as the mig gun and leave them connected same as the 252 with pull the trigger activation ? Millermatic 255 MIG Welder 907734 has gun on demand, so you can leave both guns plugged in at the same time. this machine is my step up up from my 211. I could not be happier. The new 15' bernard gun. yea theres a screen full of settings like a new car but once you find your sweet spot this machine gets to work. pays for itself. I did not want to get the multiprocess because thats not for me I have a better acdc tig. machine is light enough to pick up and put in your truck or van or whatever welding rig your running.